I arrived a bit later for registration and the line was really super long! The main bathroom would quickly have lines outside it and so I had found a more private one off the pool side that was just for one person. So while all went to the large one, I would duck back down the hallway towards the pool and go there. Now something interesting about that particular bathroom and why I am mentioning it here. A funny story happened! This bathroom had one of those automated faucets that was sensitive to light and motion. I had already noticed that and of course, didn't think twice more about it. Who would, right? Well there I am, standing in line and waiting to register for the event and get my badge, talking to people in front of me and behind me. Aaron Goodwin from Ghost Adventures came up to the lady in front of me and struck up a conversation as I kinda hung in there too. He was very pleasant, jovial and down to earth, very friendly! He made us laugh and then went on down the line to greet other people. now there was a lady behind me from CA who was really super excited about this event! It was her first one and she could hardly wait! 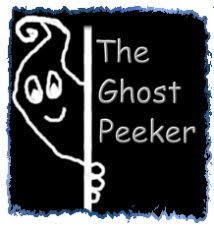 She had not purchased the full event ghost hunt ticket however, just the meet and greet portion and that would include the lectures, so it was more of a half ticket. She needed to go to the bathroom so I told her about my private find and sent her off, holding her spot in line for her. When she came back, she was bursting! She told me, "Hey Dude! It's happening already!!" I was like what is? She goes on to tell me that the bathroom is haunted! She said when she walked in, the faucet turned on all by itself! I was like really? Wow! I then got to thinking, not wanting to burst her bubble, but I asked her, is it an automatic faucet? She was like no, she didn't think so! But wow! she goes on to say, how exciting that things are happening already and we haven't even started! I was like, yea, wow! But something nagged at me that something was wrong about this. So later on, we get thru the line and I choose the 2nd night to ghost hunt as I get told that it's the better night with more chance of things happening and so were to meet back there for the meet and greet in a couple hours. And why the 2nd night over the 1st? Some do believe that the 2nd night is better because on the first one, all those people have stirred things up already for you. Plus, there are usually less people than on the 1st night. Well this whole faucet thing really kinda bothered me. Something told me...that no...so I went and checked it out. Sure enough, the faucet would come on whenever I opened the door and the light or your shadow hit it just right. It was an automatic faucet. There was a play of shadows whenever you opened the door and stepped in so it was quite obvious as to what was going on. I later saw the lady and let her know about it and she thought it was really cool that I debunked that. But that goes to show you that when you go to an event, be careful not to get too hyped up or excited so much that you see ghosts everywhere or you believe every odd thing is paranormal. It happens to us all because it is what you are wanting to see and expecting but most things can be easily debunked. It would have been really neat to have had it be something paranormal! But, when you go to these events, you really need to be grounded and wearing your skeptic hat more so and check things out fully.